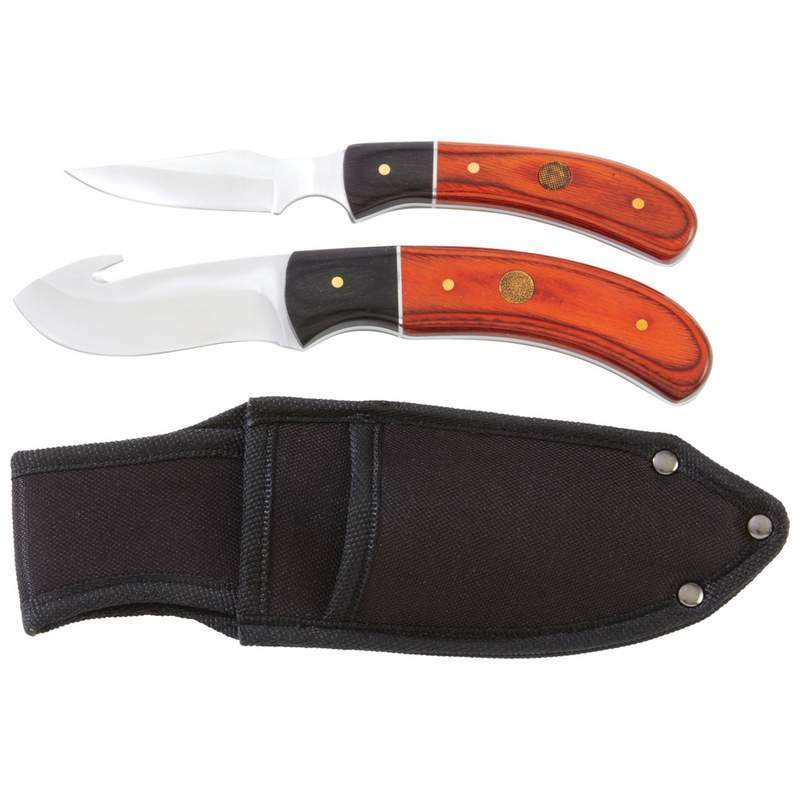 Includes 8" fixed blade knife with 3-1/4" honed blade and gut hook; 7-1/" fixed blade knife with 2-1/2" honed blade; and nylon sheath. Both knives feature pakkawood handles. Limited lifetime warranty. Gift boxed.